Wasp Extermination and Removal in Toronto, ON comes in different types and sizes and by just spotting a single one around your home is a reason enough to seek the services of a wasp exterminator to get rid of them. This is because wasps are like bees and they will always move in a swarm. 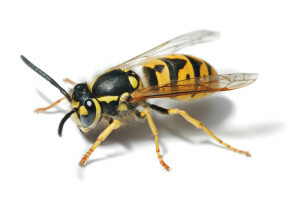 It is important to note that wasps are extremely aggressive and will sting multiple times whenever disturbed. It is thus advisable that you seek the services of an expert whenever you identify infestation around you home. But how do you know that your home or property have been infested by wasps? When you notice a lot of wasps swarming around your yard or trash cans, then this could be a potential pointer to further infestation within the property. 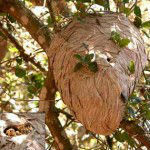 You can also notice their nests hanging on trees, roof tops or on the ground. Most people might be tempted to try the process of wasp extermination by themselves but this is highly discouraged. You face the risk of being attacked by them if you fail to eliminate them completely. You might also fail to get the right solution to use on the particular wasps that have infested your property. Your therefore need to engage experts with the necessary knowledge to deal with the wasps in a more professional manner. Our wasp pest control team has the experience and the knowledge needed to deal with any kind of wasps. The first thing we will do upon arriving at your premises is to identify the particular species of wasps that have infested your property then single out their source. Once this is done, we will administer the appropriate treatment to kill all the wasps and destroy the queen and her eggs to ruin future chances of another infestation. We do this in the most professional manner without risking your health and in the shortest time possible. Call the Pest Control Toronto Crew today for wasp extermination and removal services should you find these uninvited guests making a home in your premises. We proudly service Ajax, Brampton, Burlington, Etobicoke, Maple, Markham, Milton, Mississauga, North York, Oakville, Oshawa, Pickering, Richmond Hill, Scarborough, Whitby, Woodbridge and Thornhill. 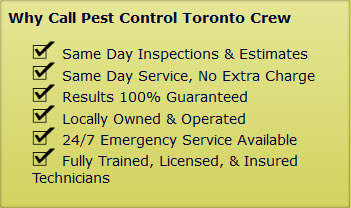 Wasp Pest Control in Toronto ON call (647) 557-7978.